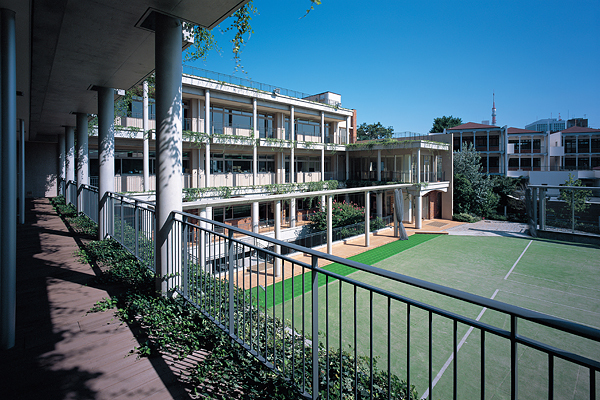 Friends School 120th Anniversary Building | PROJECT | YAMASHITA SEKKEI INC. 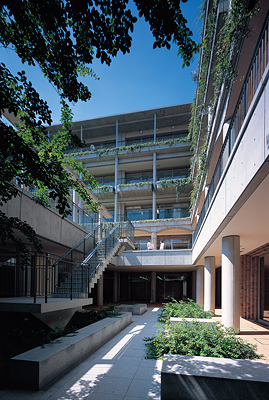 The school is the only Quaker institution of learning in Japan. The design, which has none of the features often seen in religious facilities, has simplicity as its essence while presenting a learning environment steeped in dialog. 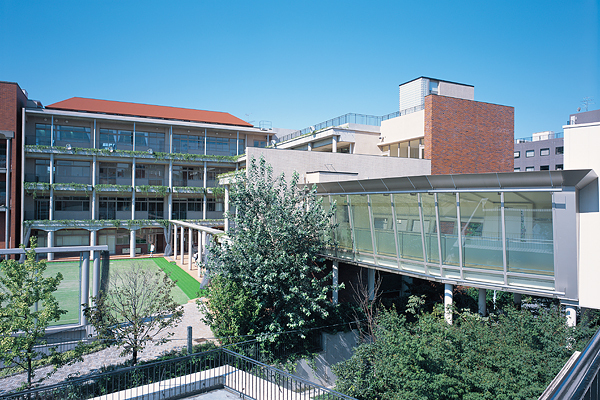 The layout is highly functional, but at the same time provides spaces all throughout where students and teachers can chat, and enables meaningful eye contact everywhere, for a spiritually rich spatial layout. 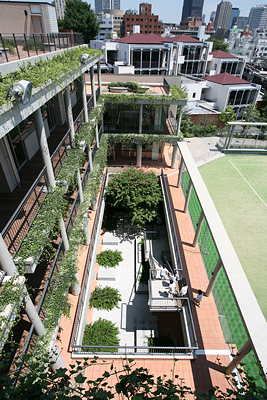 Symbolic of the school’s belief in carefully nurturing individuality among students, more than 120 different kinds of vegetation have been planted, in an all-out greening plan that allows natural greenery to be enjoyed anywhere and creates a unity between the building and landscape.